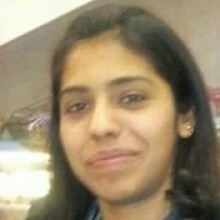 Naina Singh was a Research Assistant at the Institute of Chinese Studies. 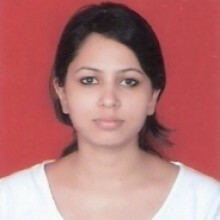 She is pursuing MPhil in international Organizations from Jawaharlal Nehru University, New Delhi. She has completed her Masters from South Asian University, New Delhi in International Relations with special focus on South Asian region. Her research interests includes primarily cultural and international relations, regional and sub-regional arrangements (Asia) and multilateral diplomacy. 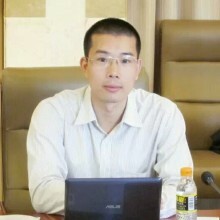 Dr. Chen Jinying is Associate Professor at the School of International Relations and Public Affairs, Shanghai International Studies University, P.R.China. She received her PhD in Political Science from Fudan University. She was an exchange scholar under the “China-Canada Exchange Scholar Program” at Munk School of Global Affairs, University of Toronto (2013-2014). She is currently researching on Indian labor politics. 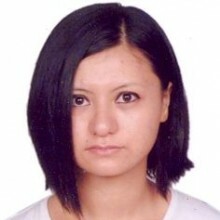 Diki Sherpa was a research assistant at the institute of Chinese (ICS) Delhi. She completed her M.Phil from the dept. of history, University of Delhi. She worked on ‘The Indo-Tibetan Trade through the Eastern Himalayas in the First Half of the Twentieth Century’ She completed her B.A and M.A from the department of history, Jadavpur University, Kolkata. 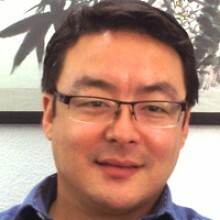 Dr. Sui Xinmin is the dean of School of Politics & Law, concurrently the director of Center for South Asia Studies of Zhongyuan University of Technology (Zhengzhou-based), and a professor at China National Collaborative Innovation Center of Territorial Sovereignty and Maritime Rights (NCICTSMR). He served China Foreign Affairs University as an associate professor. 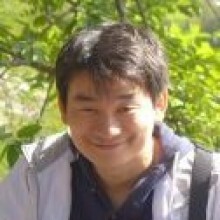 Bhim Subba (蘇斌) is a Research Associate at the ICS. He has recently submitted his PhD dissertation in the Department of East Asian Studies, University of Delhi. He was an ICS-HYI Visiting Fellow and spent a year at Harvard University for his doctoral research (2016-17). He is a Political Science major from the Centre for Political Studies, JNU, Delhi. From 2015-16, he was affiliated with the Mandarin Training Center, National Taiwan Normal University, Taipei, ROC where he pursued language study and independent research. As a recipient of a Confucius Institute Scholarship, he was also enrolled at Harbin Normal University, Heilongjiang, PRC pursuing Mandarin language training. His research interests include comparative political theory, Chinese politics and India-China comparatives. 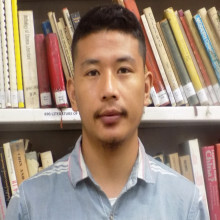 John Jojin has recently submitted PhD thesis at Centre for East Asian Studies, Jawaharlal Nehru University. His previous positions include, Korea Foundation Fellow at Center for International Studies, Seoul National University, 2012 and Research Fellow at the Academy of Korean Studies, Seoul during 2010-11. Currently he is engaged in a project on the 'New Dimensions of South Korean Foreign Policy'. Parthu Venkatesh P was a Research Intern at Institute of Chinese Studies, New Delhi. 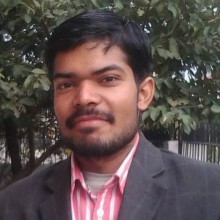 He is pursuing Post Graduate Diploma in Alternative Dispute Resolution at Indian Law Institute, New Delhi. He is also pursuing an online certificate course in Chinese Culture and Contemporary China from Nanjing University. He has completed his Post Graduate Diploma in International Law and Diplomacy at Indian Society of International Law, New Delhi and has an undergraduate degree in B.COM Programme from University of Delhi, New Delhi. His areas of interests are Chinese foreign policy, Territorial disputes in South China Sea and International Arbitration with respect to the Commercial and Civil Disputes. 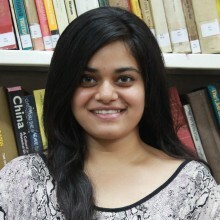 Shristi Singh was a Research Intern at the Institute of Chinese Studies (ICS). She is currently pursuing M.A. in International Studies from Symbiosis School of International Studies (SSIS). She has completed her graduation in Political Science from Sri Venkateswara College, University of Delhi in 2017. She has contributed few articles to the Indian Review of Global Affairs (IRGA), which is the research portal of SSIS. She also possesses basic knowledge of Mandarin. Her research interests include primarily Domestic and Foreign Policies of India and China, Sino-India relations and various regional and sub-regional arrangements (Asia). 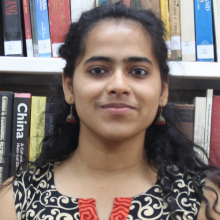 Surbhi lohia was a Research Intern at the Institute of Chinese Studies (ICS). She is currently pursuing M.A. in International Studies from Symbiosis School of International Studies(SSIS) Pune. She has completed her graduation in B.A Hons Sociology from Jesus and Mary College, University of Delhi. She has interned at Nielsen as a market researcher. 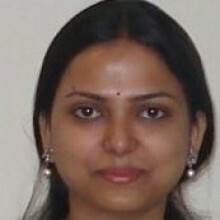 She has contributed a few articles to the Indian Review of Global Affairs (IRGA), which is the research portal of SSIS. She also possesses basic knowledge of Mandarin. Her research interests lies within the conflict and security studies domain ; Sino-India relations amidst heightened cross border tensions. 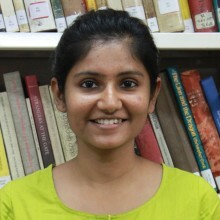 Sharanya Menon is a Reserach Intern at the Institute of Chinese Studies, Delhi. 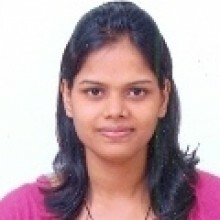 She is pursuing her integrated Masters in Developmental Studies from IIT Madras. Her research interests primarily focus on the question of gender in China and specifically the Social Credit System initiative of the Chinese government. Sunaina Bose was a Research Intern at the Institute of Chinese Studies. She is pursuing her MA in Development Studies from IIT Madras. Her areas of interest are the Belt and Road Initiative,Chinese engagement in Multilateral Development Banks. She also takes a keen interest in intersectionality and gender studies. 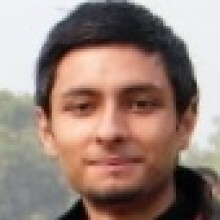 Saurav Sarkar is a Research Assistant at Institute of Chinese Studies, New Delhi. He has completed his MA in International Relations (2016-18) from Amity University Uttar Pradesh, Noida and done his BA (Honours) in English (2013-16) from the same university. He has received the Best Strategic Thinking Achiever’s Award during his post-graduation from the university. He had interned at Pragyavataran Educational Society, Noida in May-June 2017 as a social work volunteer. His MA dissertation was on “Counter-terrorism policies of the Obama administration in Afghanistan-Pakistan”. His areas of interest are China-Pakistan military and strategic cooperation, geopolitics of the South China Sea dispute and counter-terrorism. 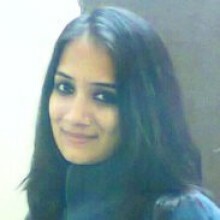 Fatima Germanwala was a research intern at Institute for Chinese Studies, New Delhi. 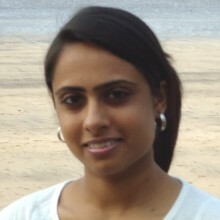 She is pursuing her masters in Geopolitics and International Relations from Manipal Academy of Higher Education (MAHE). She has completed her graduation in English Literature from IIS University, Jaipur, in 2016 and further worked as a freelancer for Times of India, Jaipur. Her areas of interest are Human Rights in China, India-China relations and China's socio-cultural elements. Ramya Kannan was a Research Intern at the Institute of Chinese Studies (ICS) Delhi. She is pursuing her Integrated M.A. in Development Studies from IIT Madras. Her research interests include urbanization, migration and sustainability. She is also interested to study regional cooperation in Asia, human rights issues, and climate change and its effects on conflict situations. 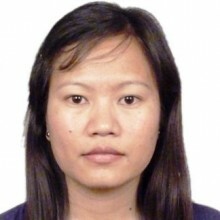 Irene Pang is a Ph.D. candidate in the Department of Sociology and a trainee under the Graduate Program in Development at Brown University, USA. She studies how processes of capitalist transformation affect the understanding, expressions, and negotiations of citizenship. Her dissertation project looks comparatively at India and China, and focuses on the citizenship experience of internal migrants, particularly construction workers in Delhi and Beijing. 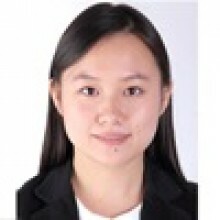 Ouyang Guoxing has being working as an associate researcher at Hainan Institute for World Watch (HIWW) since 2012. 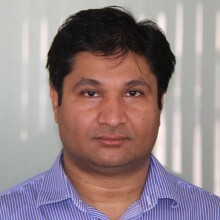 He is an MA in International Relations from Institute of South Asian Studies (ISAS), Sichuan University. Some of his select publication are India-ASEAN Free Trade Area: Analysis, Influence and Countermeasures, Comparative Studies in Sino-Indian Security Concepts under the Era of Globalization and The influence of Political Culture on India’ Practices in International Law. He was associated with ICS from December 2014- February 2015. Julee Kumari was a Research Intern at the Institute of Chinese Studies (ICS), New Delhi. She recently completed her MA in Politics (specialization in international relation) from Jawaharlal Nehru University, New Delhi. She had done project on China and the Middle East as part of her masters programme. She completed her BA (H) in Political Science from Deshbandhu College, University of Delhi and her research interests are non traditional aspects such as: women status in China, environment ,population and Chinese political system. Namkha Tsering has completed his M.Phil. in Center for East Asian Studies, Chinese Division, Jawaharlal Nehru University. He did his graduation and post-graduation in history from Delhi University and Jawaharlal Nehru University respectively before taking up Chinese studies for his M.Phil. His M.Phil. dissertation is titled “Minority Nationalities and the Statist Narrative on Tibet in History Textbooks: A Study of ‘Chinese’ Nationalism during the 2008 Beijing Olympics”. The dissertation discusses how the Chinese state has constructed ‘China’ and ‘Chinese’ through history writing to serve its nation-building project but at the same time leading to a‘historiographical colonization’ of the ‘minorities’through owning their history and limiting their representation space. 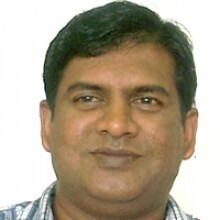 Namkha is interested in history theory in particular and social science theories in general. Few of his areas of interest are Modern Chinese history, Chinese nationalism, nation-building, identity creation, ethnic-relations in China, history education and nation-building etc. 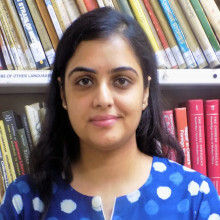 Navreet Kaur Kullar is a Research Intern at Institute of Chinese Studies. 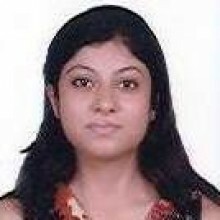 She has completed her MA in International Relations (2016-2018) from Amity University, Noida and has done her BA (honors) in English Literature from the same university. She has received a silver medal during her graduation from the university and has also been provided with a scholarship for academic excellence. During her post-graduation she participated in multiple extra-curricular events. She also participated and presented a paper in UPTAKE programme “Dividing lines in wider Europe: political and security challenges three decades after the fall of the Iron Curtain” held at Brussels School of International Studies in 2018. She holds a diploma in Human Security from Sciences Po University, Paris,France. She has formerly interned with Ministry of External Affairs in WANA division from July-September, 2017. Her MA thesis was on the Geopolitics of the Rohingya Issue. Her research interests lie in the area of International Relations and Political Science; International Security/Rise of Emerging Nations, particularly India and China in global politics. Jagrat Buragohain was a Research Intern at Institute of Chinese Studies. 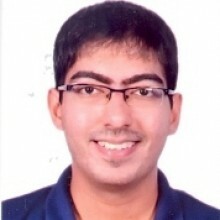 He has completed his MA in International Relations from Amity University, Noida (2016-2018) and BA in Tourism Administration (2010-2013) from the same university. During graduation his dissertation topic-‘History of Tea from China to India and Tea Tourism’ was given the best award and after completing graduation he has taken up many volunteer Eco-Tourism programmes in Assam. During Masters his dissertation topic was on ‘Illegal Migrants and its Consequences’ under the regional political party-Asom Gana Parishad. His main areas of interest are Sino-India Relations, Northeast India and Regionalism; and Border and Security Issues. 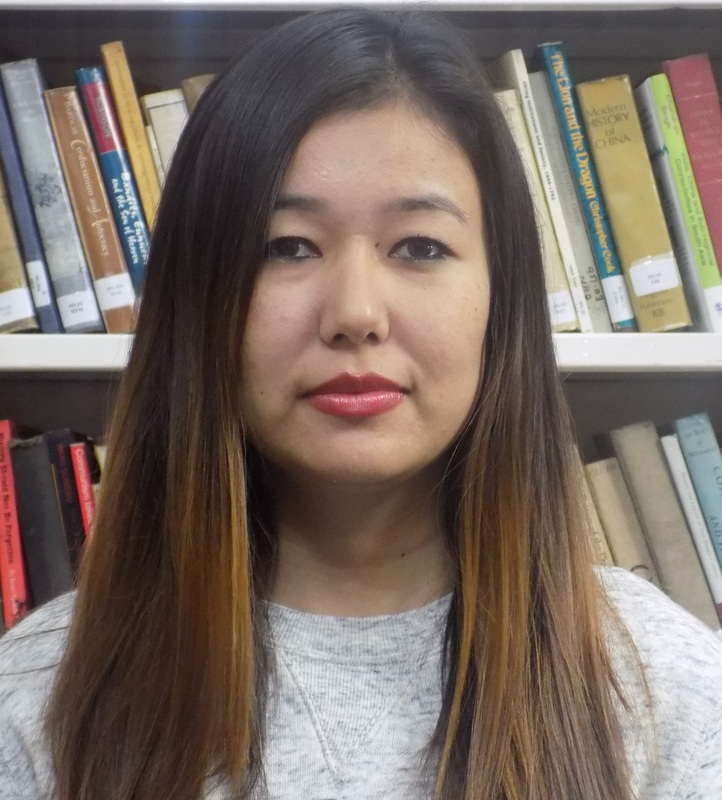 Fay Zhong is a Research Intern at the Institute of Chinese Studies (ICS), Delhi. She is pursuing her M.A. in English Literature in Graduate School of Xi’an University of Technology - Xi’an, China. 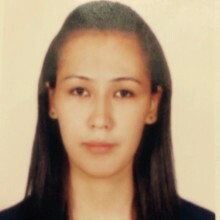 She has completed her Bachelor in English Literature in Datong University - Datong, China (2013-2017) She is interested in Chinese literature, especially literature works generated in modern and contemporary China. 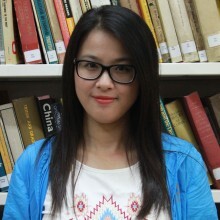 Her research in ICS focuses on the different female images in Thunder Storms by Cao Yu. Aravind Yelery was previously associated with Shanghai Ji-Ou (Sino-European Commerce Ltd.) as a Sr. Corporate Consultant (Research). He is a fluent Chinese speaker and before commencing his research at Fudan University, Shanghai, he completed Mandarin language studies from the esteemed Nanjing Normal University, P R China. He is an alumnus of Jawaharlal Nehru University, New Delhi, where he was awarded the Doctorate for his research on China, focusing on energy and economic in China’s transforming foreign policy. Prior to his PhD, he undertook M.Phil research on China’s SOEs and their re-structuring at the same centre at JNU. Dr. Huang Yinghong is Assistant Professor at the School of Asia-Pacific Studies, Sun Yat-sen University, China. He received his Ph.D. in political science from Sun Yat-sen University. He was a visiting scholar at the Department of East Asian Studies, Delhi University in 2008 and 2011 respectively, and a postdoctoral research fellow at the Department of History, Sun Yat-sen University between 2010 and 2012. His research interests include political transformations in India and China, Gandhian Satyagraha, and Sino-Indian relationship from the perspective of nation building in the two countries. 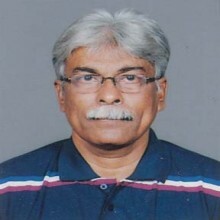 His recent publications include a book titled Politics of Converting Opponents: A Case Study on Mahatma Gandhi’s Satyagraha Fasting (Chinese), “Socialism, Revolution, and Non-violence: A Comparison of Mahatma Gandhi and Sun Yat-sen’s Responses to Socialism and the Russian Revolution in 1917” (English), and several articles in Chinese. Atul Kumar has done his PhD on ‘China’s Joint Warfare Doctrine and its implementation’ from Monash University in Australia. In addition, he has taught international relations at Monash University and the University of Queensland. As part of his research, Atul has conducted extensive field works in China, India, Singapore and Australia. In addition, he has worked as a consultant to the Indian government. His current research interests include the PLA’s emergent expeditionary capabilities, higher command reforms in China, Sino-Indian border areas and Chinese foreign and security policies. He was associated with ICS from March 2016-August 2016. Prof. Avinash Kolhe is a visiting Associate Fellow at the Institute of Chinese Studies, New Delhi. He teaches Political Science at D G Ruparel College, Mumbai. He is pursuing his Ph.D. in Mumbai University on ‘Separatist tendencies among the Muslims of Xinjiang Province of China’. 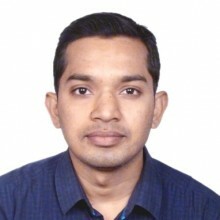 Avinash has visited US and Austria for academic assignments and presented a research paper in an international conference held in April 2004 in Tehran, Iran. He has done field work in Tripura state to study the functioning of Marxist government led by Mr. Manik Sarkar. Jyotiprakash Dora is a management student and is presently pursuing his MBA from the Indian Institute of Management (IIM) Shillong. Before joining MBA he was working with a software company for some of world’s major financial institutions. He is presently doing his internship with ICS on developing a platform to connect ICS with Chinese nationals worldwide to build stronger international relationships. Srikumar Sundaram is a management student and is presently pursuing his MBA from the Indian Institute of Management (IIM) Shillong. He is currently on a project with ICS on building a platform for connecting ICS with Chinese nationals worldwide and to offer solutions that would engage and build stronger ties with India through ICS. 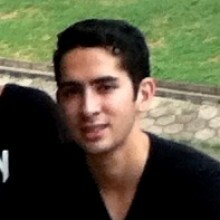 Though he is pursuing his General Management program, his areas of interest are Marketing and Consulting. Apoorva Srivastava completed her B.A. (Hons.) and M.A. in Chinese Language, Literature & Culture from Center for Chinese and South-East Asian Studies, School of Language, Literature and Cultural Studies, Jawaharlal Nehru University, New Delhi, in 2014 and 2016 respectively. Her areas of interests are Sino-Indian historical and archaeological links, political development in China, past and present socio-economic scenario of China, present social concerns in China and China’s international policies. Rajesh Ghosh has an MA in Diplomacy, Law and Business from the Jindal School of International Affairs, O.P. Jindal Global University. His areas of interest include International Relations Theory, China's International Relations, and Ethnic and National Conflict. 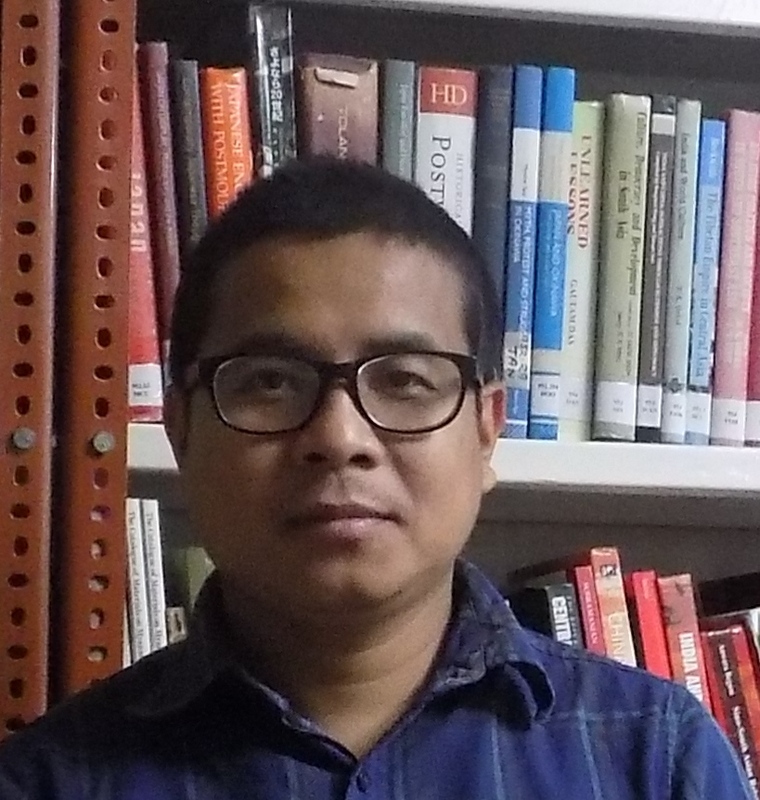 Uddipta Ranjan Boruah is a Research Intern at the Institute of Chinese Studies. 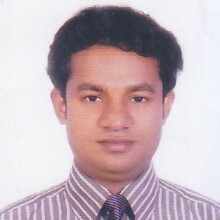 He is doctoral fellow in the Department of International Relations at the South Asian University, New Delhi. He has completed his Masters from South Asian University, New Delhi in International Relations with special focus on the role of domestic politics in regional cooperation. His research interests include Regional Integration Processes, Border Studies and issues concerning India's Northeast. Linhui Huang is a Research Intern at the Institute of Chinese Studies from July 2016 to August 2016. She was previously an exchange student of Shih Hsin University, Taiwan, from February 2016 to June 2016. Her areas of interest are China's international relations, East Asian security issues and China’s domestic policy and economy. Lee Lap Tak is a research intern at ICS. He is pursuing his master degree ‘Global Studies Programme’ at Freiburg Universität, Germany. He was an inbound exchange student of JNU from Jan to May 2016. In ICS, he is currently working on Sino – Indian relationship. 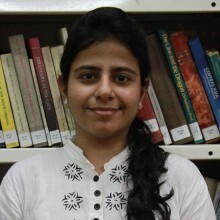 Shreya Vaid is research assistant at the institute of Chinese (ICS) Delhi. She completed her B.A (Hons. )Political Science from Jesus and Mary College, Delhi University, and M.A in Political Science from Amity University, Uttar Pradesh. She has interned at the India Policy Foundation for one month. She has also written an article “The Fading White Rectangle” which was published in the quarterly Journal “Pakistan Watch” by the India Policy Foundation.At present she is working on Vietnam China Relations in the Institute of Chinese Studies. 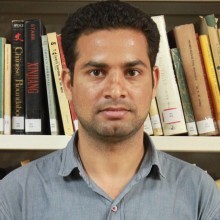 Nogmaithem Kishorchand Singh is a Research Assistant at the Institute of Chinese studies (ICS) Delhi. He completed his M.A in politics (with specialisation in International Relations) from the school of International Relations, Jawaharlal Nehru University (JNU). 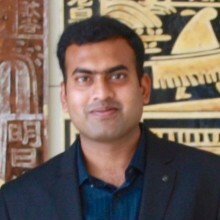 He holds an MPhil degree from the centre of West Asian studies,Jawaharlal Nehru University, New Delhi where he also submitted his PhD thesis.HIs area of research interest includes West Asian politics,China and West Asia,North-East India studies etc.HIs current research focuses on the China's Belt and Road initiative (BRI) in West Asia. 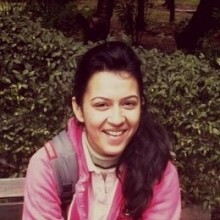 Gauri Agarwal is a research intern at the institute of Chinese Studies (ICS) Delhi. She has completed her graduation in political science from Jesus and Mary college, Delhi University. At present she is working on ‘China’s involvement in SAARC and its implications for India’. Her areas of interest include Sino-Indian and China-South Asia relations; China’s engagement in multi-lateral forums in Asia. 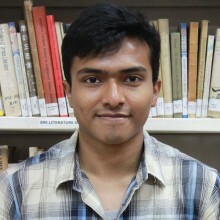 Atmaja Gohain Baruah is a Research Intern at the Institute of Chinese Studies. 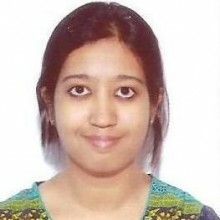 She has done her Bachelors from Miranda House, Delhi University, in Sociology and is currently pursuing MPhil in East Asian Studies, SIS, from Jawaharlal Nehru University, New Delhi. She had completed her Masters in the same Centre from Delhi University. Currently, her primary focus lays on Non-Traditional Security threats in China, although her research interests also lie in Sino-Indian relations, Chinese foreign policy and Chinese politics; Cross Strait Relations; OBOR and the BCIM corridor. Miss Dechan Wangmo is a Research Intern. She is pursuing Ph.D. from the East Asian Studies Department, University of Delhi and is working on ‘International Political Economy and Chinese national economy.She has completed M.Phil " International Political Economy and China’s Rise" in Chinese Studies, Department of East Asian Studies, University of Delhi, New Delhi, India. 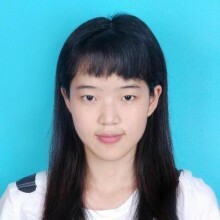 She is the recipient of Huayu scholarship by Ministry of Education Taiwan, Under which she pursued Chinese Language course in National Chengchi University Taiwan. She holds a PG Diploma in International Law and Diplomacy from Indian Society of International Law. She has a Master’s degree in Political Science, Department of Political Science from the University of Delhi and has specialized in South Asia, Development studies, and Human Rights and a Graduation degree in Political Science Honours from Gargi College, the University of Delhi with specialization in United Nations Organisation. She was selected for ‘2013 Taiwan Study Camp for Future Leaders from South Asia’ (16 Dec. 23-Dec. 2013) and the Certificate was awarded by Ambassador Mien-Sheng Hsu, President of The Institute of Diplomacy and International Affairs, MOFA (Taiwan). 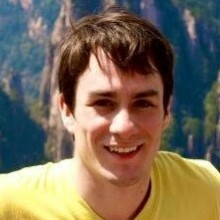 Dev Lewis is Research and Communications Associate at Digital Asia Hub, an internet and society think-tank in Hong Kong. 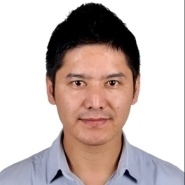 Mr. Wei FENG (冯威) is currently a visiting research associate at the ICS and a Ph.D. candidate in the School of International Studies at Peking University, Beijing, China. Feng holds a Master of Laws (International Politics) degree from the same School in Peking University. He has a Bachelor of Laws (International Politics) from the Department of Political Science at Zhongnan University of Economics and Law (中南财经政法大学), Wuhan, Hubei and a Bachelor Degree of Arts (English Language) in the School of Foreign Languages at Huazhong University of Science and Technology (华中科技大学) in Wuhan. His main focus areas are South Asian Studies and political theory. Jigmey Thinley is research assistance at the institute of Chinese studies (ICS) Delhi. He completed his M.A. in politics (with specialized in international relations) from the school of international relations, Jawaharlal Nehru University (JNU). Currently, he is pursuing M.Phil in political science from school of social science, Delhi University (DU). His area of research interest includes south Asia, China and its minorities, Tibet etc. 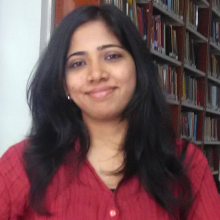 Shruthi Anup Kumar is currently pursuing an MA in international studies at Christ University, with an interest in the dynamic region of East Asia. She has a Bachelor's degree in Commerce from Mount Carmel College, Bangalore. She is a member of the PG Association ‘Lyceum’ at Christ University and has presented a paper titled ‘Terrorism as a response to the cultural invasion, a backlash to globalisation’ for the 5th interdisciplinary PG Conference. She is currently working on a research project on China’s one country, two systems policy in relation to Taiwan. 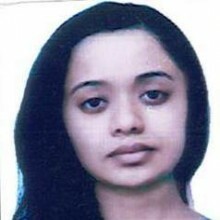 Vatsala Mishra is currently pursuing her Masters in International Studies from Christ University, Bangalore. She got her Bachelor’s Degree in English and Psychology from Isabella Thoburn College, Lucknow University. She has served as a member of Editorial Board for her college magazine named “Chandbagh Chronicles” for two years. She has also presented a paper on “Technology and Diplomacy: Challenges and Opportunities” and participated in a panel discussion on “Political Parties and Ideologies with reference to Elections 2017” in Christ University. Avadhi Patni is currently pursuing her Masters in International Studies from Symbiosis School of International Studies, Pune. She got her Bachelor’s Degree in B.Com Honours (Accountancy) from Institute for Excellence in Higher Education, Barkatullah University, Bhopal (M.P.). She has served as a Student Director for Social Service at The Daly College, Indore. She also represented India with other teammates at the International Regional Round Square of the Americas’ Conference on the theme ‘Unity in Community’ in Appleby College, Canada. Recently she was a part of the organising and report drafting committee for International Relations Conference (IRC): India and the Indian Ocean 2016 and also part of the organising and communication committee for China Symposium. Her current project focuses on Social Credit System in China. Her areas of interest include defence, strategy and security in context to China's increasing presence in South Asian Region, Sino-Indian and China-South Asia relations and cultural studies. Ravish Bhatia holds a bachelors in technology from Guru Gobind Singh Indraprastha University, Delhi and is a Yenching Scholar for the cohort of 2017 at Peking University with a concentration in Economics and Management. In the past he has worked across management consulting and developmental consulting at ZS Associates and Swaniti Initiative respectively. He was involved in building development plans for model villages in Sikkim and Uttar Pradesh.He founded and presently leads the National Youth Advisory Panel, PLAN International (India Chapter), a 200-member youth body promoting children's rights in India. Aakriti has completed her Masters in Politics (with specialization in International Relations) from Jawaharlal Nehru University, New Delhi. She got her Bachelor’s degree in History from Jesus and Mary College, University of Delhi. She has also done a short term course on Media studies in collaboration with Jesus and Mary College and Times of India. During her college days she was a member of the student union and core team member and fellow walk leader of Dastaan- the Art and Architecture Society. She was involved in the UGC funded innovation project on Zafar Mahal and University of Delhi’s annual festival Antardhwani. In past she has worked as an intern with Times Business Solutions, INTACH and BRICS International forum. 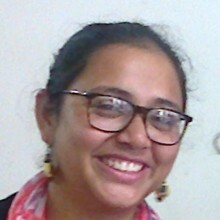 Currently she is working on a project Ibadat which aims to connect the past with present through heritage walks around the cities of India, primarily Delhi. During her Masters she has done varied courses from Problems of International Relations, Aesthetics and International Politics to specialized areas like South Asia, South East Asia and China. She has also participated in various conferences in JNU like Kunzru Memorial lecture on current Refuges crisis She is interested in looking at Alternative approaches to International Relations and how there can be a “dialogue” with the mainstream International Relations. 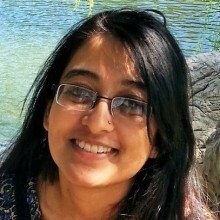 Geetanjali Dangwal is a Research Intern working on the Strategic Analyses concentrating upon Internet Sovereignty and Cybersecurity both quantitative and qualitative in nature. She is a prospective Research Scholar. She currently holds double Masters in East Asian Studies from the University of Delhi and Public Administration from the Uttarakhand Open University. She holds a Bachelors degree in Mathematical Sciences with concentration in Computer Science, Operations Research and Mathematics.She was the Chief coordinator of the Lecture Programme of the Ambassador of the Republic of Korea, H.E. Dr. Cho Hyun at the University of Delhi. She has participated in the 9th All India Korean Language Speech Contest, and has already presented two research papers at the International Conferences at JNU which will soon be published. She has also been an active attender to the International, National conferences and workshops. 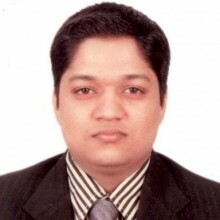 Anuraag Srivastava is a graduate in Engineering in the field of Information Technology from University of Mumbai. 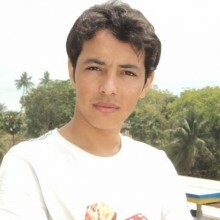 Currently, he is pursuing Masters of Arts in International Studies from Symbiosis School of International Studies. His research areas include internal political as well as economic structures and policies of China and comparative studies between economic, social and political policies of India and China. He has published articles for Indian Review of Global Affairs, the research wing of Symbiosis School of International Studies. He is also studying Mandarin and has completed HSK level 1 exam so far. Disunga Fedilis H has completed her masters from Jawaharlal Nehru University on Politics with Specialisation in International Relations. She has acquired her Bachelor Degree from Don Bosco College Maram, Manipur on Political Science. During her bachelor, she has served as an executive member in various Student’s Organisations and has participated in various activities from teaching the marginalised to conducting awareness programs on the various ground. She has also undertaken field work to Manipur Central Jail analysing its Functional and Managerial System. She has done courses on International Area Studies in various countries and regions, Foreign Policy and Domestic Political System. At present, she serves as a Research Intern in the Institute of Chinese Studies. She is working on the Human Security in China; Drug a determinant, and also interested in looking at Chinese advancement in Myanmar; Impacts on India, China’s policies towards South Asia; Economic and Cultural. Jabin T. Jacob is Fellow at the Institute of Chinese Studies, Delhi. He holds a PhD in Chinese Studies from the School of International Studies, Jawaharlal Nehru University, New Delhi and has spent time as a student and researcher in Taiwan, France and Singapore. Jacob’s current research interests include China-South Asia relations, China’s ‘belt and road’ initiative, Sino-Indian border areas, and centre-province relations in China. Sanglipong Lemtur comes from a truly multi-disciplinary area of research. Having completed his Bachelor’s degree in History from St. Stephen’s College, Delhi University. He had moved on to study Sociology at Jawaharlal Nehru University for his Master’s. He went on to study Social Medicine and Community Health for his MPhil from JNU where his dissertation reviewed the new and exciting technoscientific field of Synthetic Biology, and its Implications on Public health. He completed his dissertation under the guidance of Prof. Mohan Rao. He is currently a PhD Scholar working under Prof. Rama Baru in the same Centre, researching on Antibacterial Resistance, specifically examining antibiotic drug development and its political economy. 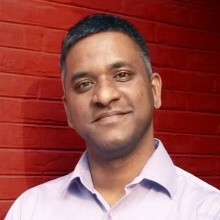 After graduating in Economics from Madras University, Cidarth completed his Masters from The School of Government and Public Policy at Jindal University. He has conducted and convened various economic symposiums in his undergraduate years. 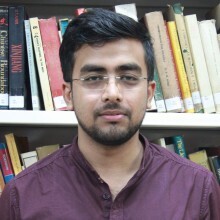 Previously an intern at Nirvana Films, he subsequently worked with the India Public Policy Report, Centre for India-China Studies at Jindal University and The Karnal Gazetteer. With interests ranging from political economy to mass media and pop culture, Cidarth considers himself to be a lover of tales, tea and things past. Joy Mitra was a Research Intern at the Institute of Chinese Studies from May 2014 to July 2014. His areas of interests are comparative law and international affairs. Md. 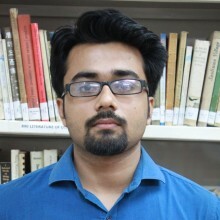 Shariful Islam was a Research Intern at Institute of Chinese Studies from June 2013 to August 2013. 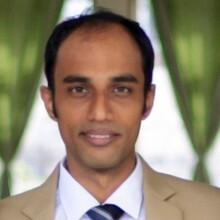 His areas of interest are critical security studies, human security, critical approaches to International Relations theory, South Asian politics, foreign policy analysis (with particular focus on Bangladesh, US, China, India), regionalism/cooperation through institutions, qualitative research methods, conflict transformation and peace building. Ngipwem Rebecca Chohwanglim is an M. Phil student at the School of International Studies, Centre for East Asian Studies, Jawaharlal Nehru University, New Delhi. Jayshree Borah was a Research Assistant at the Institute of Chinese Studies. She worked on various projects related to foreign policy and diplomacy at the Institute such as 'India-China Database with Reference to the Boundary Dispute', ‘The Diplomacy of India & China: Content, Capacity and Methods’ etc. Her areas of interests are Chinese politics, foreign policy and ideology, leadership, and India-China comparison. 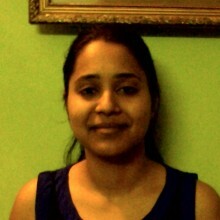 Vaishali Singh is a Research Assistant at the Institute of Chinese Studies. She has completed her BA honours in Political Science from Miranda House and her MA (Political Science) from Hindu College, University of Delhi. She has also completed her M.Phil in East Asian Studies from the Department of East Asian Studies, University of Delhi. Currently she is enrolled in the same department for a Ph.D programme in East Asian Studies (Specialization-China Studies). In 2013-14, she has been to Shandong, China under the MHRD-China Government Scholarship. 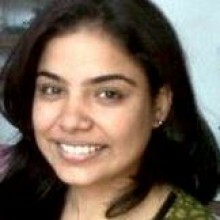 Renu Rana is Research Assistant at the Institute of Chinese Studies (ICS), Delhi. She holds a MPhil degree in Chinese Studies from the Department of East Asian Studies, University of Delhi, New Delhi. Her area of study is Chinese Studies. She completed MA Political Science from Daulat Ram College, DU; MA Sociology from IGNOU and BA (hons) Political Science from Miranda House, DU. She cleared UGC NET in Political Science in 2012. Oliver Nelson Gonsalves was a Research Intern at Institute of Chinese Studies from February 2015 to June 2015. He worked on compilation of data for a project on Chinese investments in India and overlooked the setting up of the new ICS website. His areas of interest are entrepreneurship, energy studies, policy research and political economy. Chandan Panigrahi was a Research Intern at the Institute of Chinese Studies from February 2014 to April 2014. He worked on human rights and human security issues. His areas of interest are human rights, human security, foreign policy and international organizations. Disket Angmo was a Research Intern at Institute of Chinese Studies from April 2015 to June 2015. She worked on a project titled 'A study of Protest and Uprising in Tibet since 1959 till today’. Her areas of interest area Chinese foreign policy, Tibet issues, and border studies. Minakshi Biswas is a PhD Scholar from Centre for Political Studies, JNU. Her PhD topic is ‘Care for the Elderly and Terminally Ill: Issues and Policies in India’. At present she is in the phase of data collection for her PhD. She is also teaching Political Science as an Assistant Professor at the School of Humanities and Social Sciences, G D Goenka University. She has pursued both her post-graduation and MPhil in Political Science from Centre for Political Studies, JNU. Her areas of research since MPhil have mainly reflected concerns on the issues of right to die, euthanasia and living with dignity debate in India. She has quite a few publications to her credit and has also presented several papers in both international and national conferences. 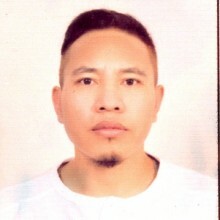 Konchok Paldan worked as a Research Assistant at the Institute of Chinese Studies from April 2015 to June 2015. He worked on India-China border issues, trade and incursions. His areas of interest are India-Pakistan and Sino-India border issues; tribal studies; rural sociology and sociology of environment in the Himalayan regions in Ladakh. 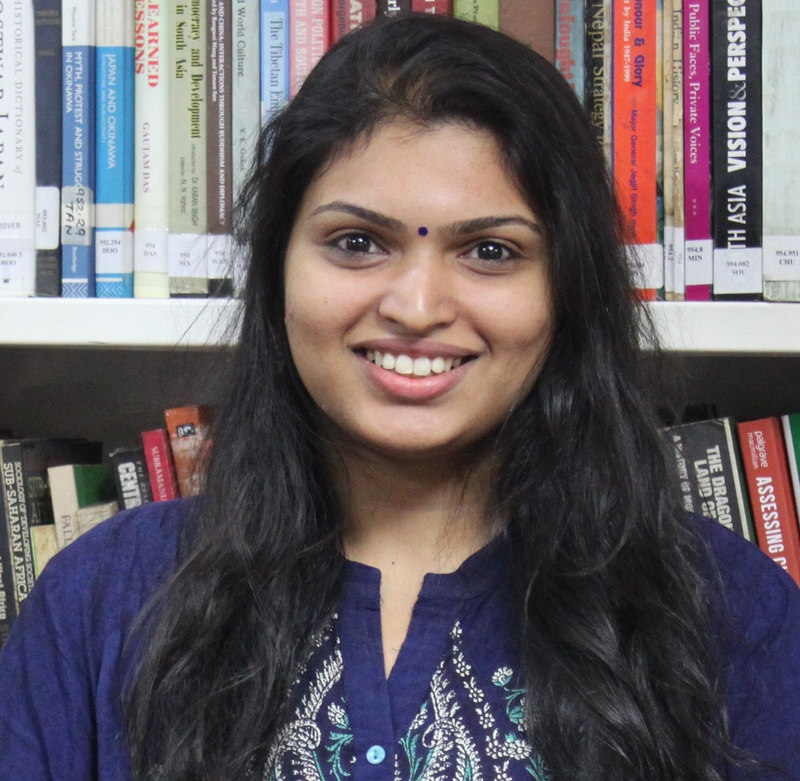 Aprajita Sarcar was a Research Assistant at the Institute of Chinese Studies from August 2013 to May 2014. Her areas of interest are population, gender, anthropology, comparative public health in China and India. Samir Sharma was a Research Assistant at the Institute of Chinese Studies from May 2013 to July 2013. His areas of interest are politics of accommodation, institutional frameworks for minorities and the practice of federalism and citizenship. 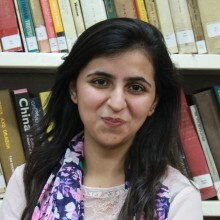 Seemi Zafar was a Research Assistant at the Institute of Chinese Studies February 2013 to March 2013. She worked on study of the role of diaspora, and influence of multilateral and bilateral organizations in the marketed expansion of healthcare in India and China through a comparative lens. Her areas of interest include commercialization of healthcare and studies in comparative health. Meghanjalli Routh has completed her Masters in Financial Economics from Gokhale Institute of Politics & Economics, Pune. Her interest in the subject surged from her under graduation in Economics from the University of Delhi. She worked on Studying Private Equity Investments and other forms of Investment traction in India from China last summer under the mentorship of Dr. Aravind Yelery. Simultaneously, she also worked on Women Employment in India & China under the guidance of Dr. Ashwini Deshpande. With exposure to vast areas of research, she is back with Institute of Chinese Studies for her second tenure after her Post Graduation to continue the research where it was left. 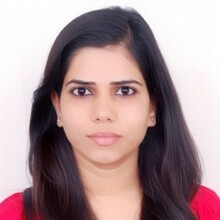 Reeja Nair was a Research Assistant at the Institute of Chinese Studies from August 2014 to December 2014.She worked on a comparative study of state responses to social welfare in India and China. Her areas of interests are industrial labour regime in China, China’s economic reforms, political economy and modern history. 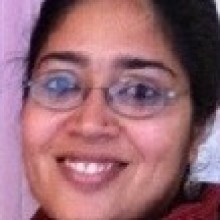 Mita Deshpande was a Research Associate at the Institute of Chinese Studies from February 2014 to April 2014. She worked on comparative health project and explored themes of the experience of tuberculosis programs in India and China; and traditional health systems across both countries. Her areas of interest include the social inequalities and health with a specific focus on caste and gender. Panu Pazo was an Associate Fellow at the Institute of Chinese Studies from June 2012 to March 2014. He worked on 'India-China Collaboration in Third Countries: The feasibility of cooperation in hydro-electricity projects in Nepal.' His areas of interest are energy security, environmental politics and comparing China and India's global energy relations. Sooraj Aurora was a Research Assistant at Institute of Chinese Studies from July 2014 to February 2015. He worked on studying the planning commission process in China. His areas of interest are India-China political and military relations, diplomacy and disarmament and conflict management. Alexander S. Levine is a rising senior at Fordham University in New York City, where he studies International Political Economy and Chinese. At Fordham University, Alexander is the International Affairs Editor for the Fordham Political Review and the Modern Languages Representative to the Fordham College Academic Dean’s Council. 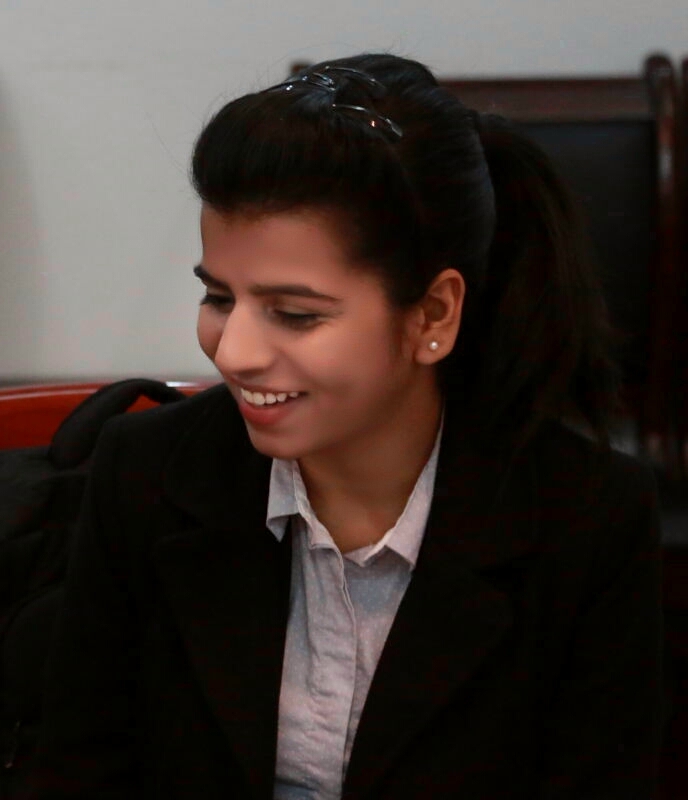 Antara Kar was a Research Intern at the Institute of Chinese Studies from October 2014 to November 2014. She worked on the ICSSR project on a comparative study of social welfare for small and medium enterprises workers in China and India. Her areas of interest are women’s socio-economic status in industrialized economies, gender and development issues, Japan’s post-war labour market dynamics, and immigration problem in Japanese economy. 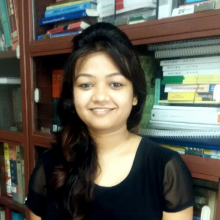 Deepabali Bhattacharjee is a Research Intern at the Institute of Chinese Studies. She has done her under graduation in Economics from University of Delhi and completed post-graduation in Economics from Banaras Hindu University. She is currently working under Dr. Aravind Yelery as an intern on the research proposal "China- US relation and the trade pattern". 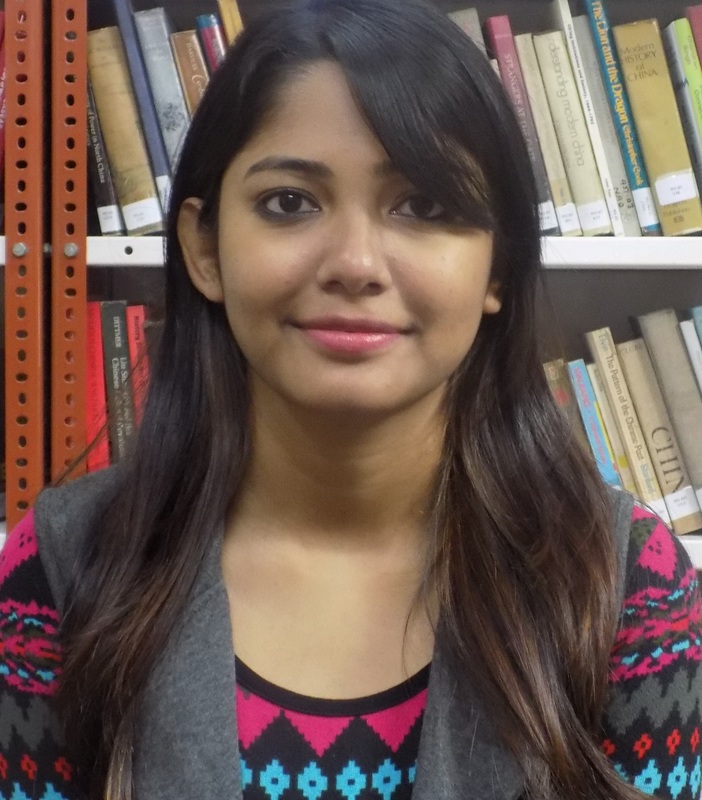 Ferdausi Mahojabin Sumana was a Research Intern at the Institute of Chinese Studies, from June 2014 to July 2014. Her areas of interest are public policies, economic policies, politico-economic development, gender studies, bilateral-multilateral trade relations, growth path of recent economic superpowers in Asia (especially India, China, South Korea, Singapore and Malaysia). 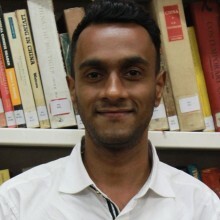 G. Shandeepan was a Research Intern at the Institute of Chinese Studies from June 2013 to August 2013. His areas of interest are strategic and defence studies of East Asia; secession conflict in Sri Lanka, Philippine and Myanmar; post-conflict reconstruction and state practices. 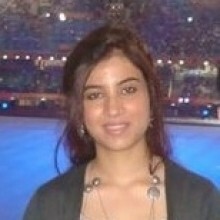 Ila Joshi was a Research Intern at the Institute of Chinese Studies from June 2012 to August 2012. Her areas of interest are Chinese society and culture (women issues). Isha Sharma was a Research Intern at the Institute of Chinese Studies from June 2013 to August 2013. Her areas of interest are Chinese political system, society and culture in post-Mao China and East Asia in world politics. 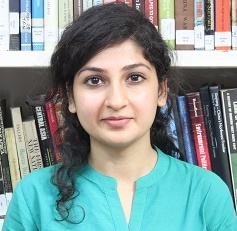 Kanika Arora was a Research Intern at the Institute of Chinese Studies from May 2013 to July 2013 and again joined ICS from June 2014 to August 2015. She worked on translating Chinese text to English. Her areas of interest are Chinese language, literature, culture, economic growth in post-Mao China: China's policies in Tibet; China's political economy; cross-strait relations; Sino-Indian relations in 21st century; translation of ancient Chinese literary texts into English. Mahdi Frough was a Research Intern at the Institute of Chinese Studies from May 2014 to June 2014. His areas of interest are political economy and development studies, focused on South and East Asia. 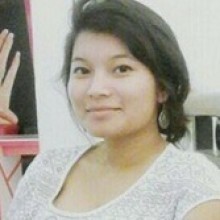 Maitraiyi Mondal was a Research Intern at the Institute of Chinese Studies from April 2014 to July 2014. Her areas of interest are intersection of public policy and population migration. Mingming Zhou was a Research Intern at the Institute of Chinese Studies from July 2013 to August 2013. Her areas of interest are public policy, India-China relations, development, and multi-lateral diplomacy. Priyadarshini Rawal was a Research Intern at the Institute of Chinese Studies from May 2013 to August 2013. She worked on a project titled ‘Perspectives of India and China as reflected in their Media’ and looking at how both India and China write about one another in their respective national newspapers. Her areas of interest are India-China relations (history, politics and cultural dynamics). Priyanka Babbar was a Research Intern at Institute of Chinese Studies from May 2014 to June 2014. She worked on the rise of environmentalism and environmental movements in India and China by attempting to draw a comparative analysis of the environmental circumstances in both the countries. Her areas of interests are India-China bilateral relations, environmental issues and development. 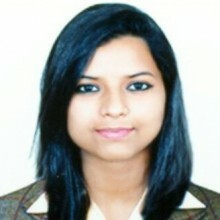 Rani Singh was a Research Intern at the Institute of Chinese Studies from June 2012 to August 2012. Her areas of interest are Chinese language and literature, Chinese studies, translation and interpretation. 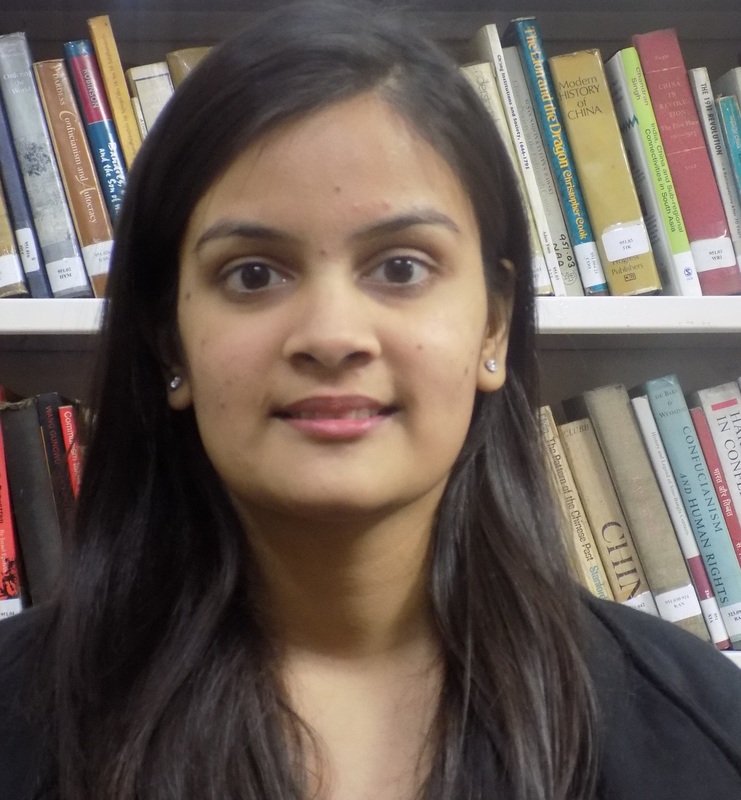 Samar Tyagi is a Research Intern at the Institute of Chinese Studies. Currently, he is working on analysing trends in Sino-Indian Bilateral Trade and fiscal decentralisation in China. His areas of interest are International Economic Relations and evaluating public programs. 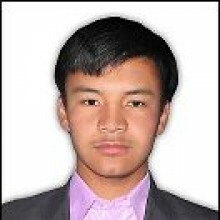 Shishir Ghimire was a Research Intern at Institute of Chinese Studies from May 2013 to July 2013. He worked on interest of China in constitution making process of Nepal. His areas of interest are China in South Asia, politics of TAR, role of buffer state in international politics, and contemporary international affairs. 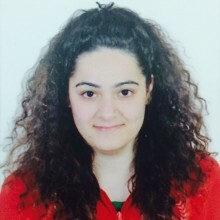 Shubdha Gurun was a Research Intern at the Institute of Chinese Studies from May 2014 to July 2014. She worked on Chinese literature and studies. Her areas of interest are Chinese studies, Chinese language and literature, translation and interpretation. Spike Novak was a Research Intern at the Institute of Chinese Studies from July 2013 to September 2013. He worked on a thesis on comparing municipal finance and poverty alleviation in Shanghai and Mumbai. His areas of interest are economic development, India-China relations, Chinese and Indian political economy, municipal finance, and poverty alleviation. Swati Arun was a Research Intern at the Institute of Chinese Studies from August 2013 to September 2013. She worked in the field of IR and foreign policy of China. Her areas of interests include China's relation with Asia and the USA, peaceful development of China, and economics. 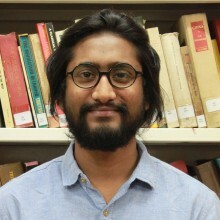 Vishal Choudhury is a Research Intern at the Institute of Chinese Studies. For his Masters he wrote a dissertation titled 'Understanding the Transformation of the Chinese Economy: The Core Periphery Paradigm and the Society.' To further his understanding of the Chinese economy and society he left for another masters program (International Master's in Public Administration) at the prestigious Renmin University of China (2014-2016). 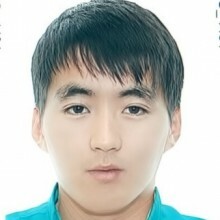 Zhussip Zhumagaliyev is citizen of Kazakhstan. He is a student of International Relations at Mahatma Gandhi University in Masters degree. He received his BA in International Relations from Caspian State University in Kazakhstan. Kritika Gupta was a Research Intern at the Institute of Chinese Studies from May 2015 to July 2015. Her areas of interest are women studies, gender issues, development economics, statistics, and econometrics. Sanchi Vahal is a Research Assistant at the Institute of Chinese Studies. Her areas of interest are international and development economics. Shobita Kohli was a Research Intern at the Institute of Chinese Studies from May 2015 to July 2015. Her areas of interest are Chinese language, India-China relations,cultures and festivals. 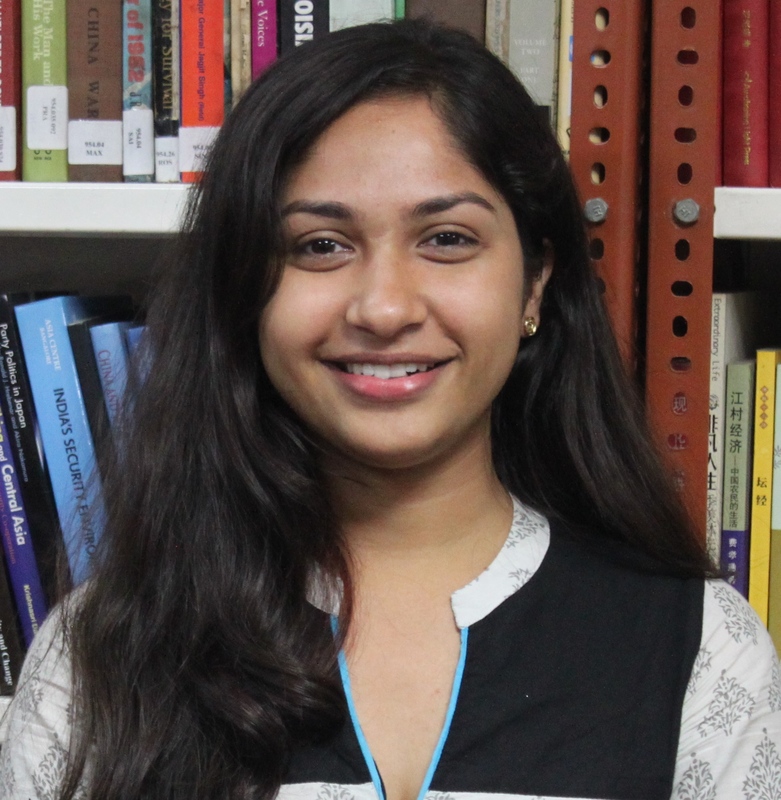 Mahima Bhatia was a Research Intern at the Institute of Chinese Studies from May 2015 to July 2015. Her areas of interest are Chinese language, Chinese culture and the historic evolution of Chinese characters. Prateeksha Tiwari is a recent graduate from Department of East Asian Studies, University of Delhi. She is a guest lecturer of Chinese language at Khalsa College, University of Delhi. Her areas of interest include science and technology development in post-reform China, Chinese domestic politics, and political economy. 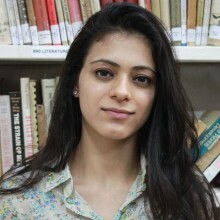 Mahima Khosla is a Research Intern at the Institute of Chinese Studies. Her areas of interest are macroeconomics, econometrics techniques, contemporary China and Mandarin language. 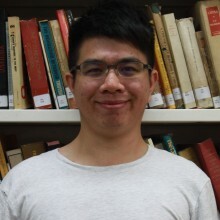 Li Zhongwu was a Research Intern at the Institute of Chinese Studies from June 2015 to July 2015. He worked on healthcare system of India and China. His areas of interest are comparative studies, healthcare and social security systems. Rustam Ali Seerat was a Research Intern at the Institute of Chinese Studies from June 2015 to July 2015. His areas of interest are negotiation/diplomacy with focused area of Sino-Afghan diplomatic relations and China’s diplomacy in Special Administrative Regions (SAR). 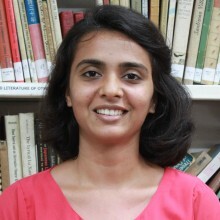 Sanghamitra Bora is a research intern at the Institute of Chinese Studies. She has completed her Masters in International Relations from South Asian University, New Delhi. Her research interests includes Women, Peace and Security, Conflict resolution, Peace building, Security studies and Human Rights. Sukanya Roy has done her under graduation in Economics from the Banaras Hindu University. With a growing interest in Economics, she went ahead with pursuing an M.A in Economics from Banaras Hindu University. Currently, she is in third semester of post graduation. Her interest areas are microeconomics, development economics, international economics and statistics. Satarupa Mitra has done graduation in Economics from Banaras Hindu University, Varanasi. Finding this subject stimulating, she pursued MA Economics from the same university. Currently, she is in final year of post graduation. She is currently a research intern at the Institute of Chinese Studies. Her research interests are applied economics and topics germane to international relations, socio-economic policies and development. Preksha Shree Chhetri is currently pursuing her PhD from the Centre of European Studies, School of International Studies, Jawaharlal Nehru University. She has done her schooling from her hometown, Darjeeling. She went to Andhra Pradesh to do her graduation from Sri Sathya Sai Institute of Higher learning after which she went to Jadavpur University, Kolkata for pursuing masters in International Relations. She has recently submitted her MPhil dissertation titled 'Germany- China Economic Relations since 1990' from JNU. Peter Joy Hudson was a Research Associate at the ICS. He has an M. Phil in East Asian Studies, specializing in Japanese Studies, from the Department of East Asian Studies, Delhi University. He did his Post Graduation from School of International Studies, Pondicherry University. Kimneijou Rosy Lotjem is a Research Assistant at ICS. She recently submitted her Ph.D thesis in Japanese Studies, Centre for East Asian Studies, School of international Studies, Jawaharlal Nehru University, entitled “The Politics of Japan’s Rice Protectionist Policy: 1995-2011”. 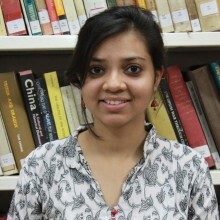 Shilpa Sharma is a Research Assistant at the Institute of Chinese Studies. She has obtained her undergraduate and masters in History. She completed her M.Phil in Chinese Studies from the Department of East Asian Studies, University of Delhi. In 2014, she was awarded Huayu Enrichment Scholarship to study Chinese at National Taiwan University for a year. Palden Sonam is a Research Intern at the Institute of Chinese Studies. Currently he is working under Jabin T. Jacob and his research interests include China’s minority policies, relationship between Chinese nationalism and minority nationalism, China’s Buddhist diplomacy and Sino-Indian relation. Alpana Verma is a PhD scholar in Chinese Studies at the Department of East Asian Studies, University of Delhi, Delhi. She has worked on a project on Higher Education in China organized by the Institute of Chinese Studies in 2015. 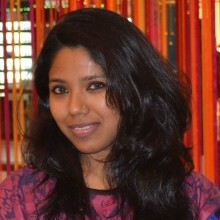 Jaya Kumari is a Research Assistant at the Institute of Chinese Studies. She did her M.Phil from the Department of Political Science, University of Delhi. Her areas of interest include development and welfare with special reference to minority cultures and communities. 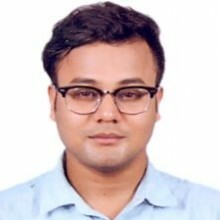 Kush Kumar Gayasen is a Research Assistant at the Institute of Chinese Studies (ICS), Delhi. 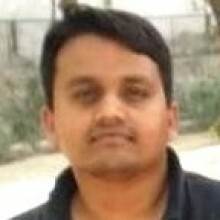 He has recently submitted his PhD thesis on ‘Assessing the China Factor in India's Maritime Doctrines: A Study of the India-China Naval Interface in the Indian Ocean Region’ at the Centre for International Politics, Organization and Disarmament (CIPOD), School of International Studies, Jawaharlal Nehru University, New Delhi. Shivangi Gulati is currently pursuing her Masters in International Studies from Christ University, Bengaluru. She got her Bachelors Degree in Political Science from Indraprastha College for Women, Delhi University. She has done her schooling from Lancer's Convent, New Delhi. She is currently working on Sino-Indian Economic Relations since 2001, as her Dissertation topic for her 2nd year of Masters. 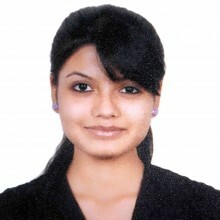 Debashree Nath is currently pursuing her Masters in International Relations from Christ University, Bangalore. She is currently working on her Masters dissertation titled “China’s Maritime security strategy towards Indian Ocean: An Assesment”. Her current research interests also include: China-South Asia relations, Tibet Autonomy. 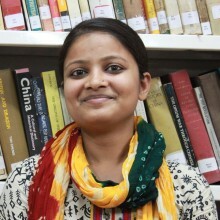 Arpita Ghosh is a research Intern at Institute of Chinese Studies, Delhi. 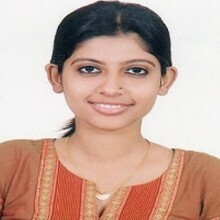 She is pursuing her masters in international Studies from Christ University, Bangalore. 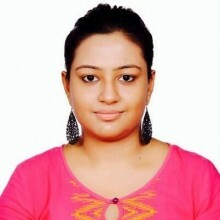 She has completed her BA in English Honours from St. Xavier’s College, Ranchi University, Ranchi. Currently she is working on 'The overseas Chinese and China’s foreign policy towards South East Asia' as her topic for dissertation for masters. Her areas of interest include China’s foreign policy in South East Asia, Tibet Autonomy, and Chinese Diaspora in Global Community, Nepal as a buffer sate between India and China, Future of Russia-China relations, Shaping China’s future in the world Affairs and the role of US in it. Priyam Chadha is a graduate from Jawaharlal Nehru University in B.A. in Chinese (Honors). She has done her schooling from St. Anthony’s Sr. Sec. School, New Delhi. She has participated in the International Youth Ambassadors Exchange Programme of Taiwan, 2015. She was a part of the delegation sent to Shanghai in December 2015. Her areas of interest are issues in modern Chinese society, women in China, China’s domestic and international politics. 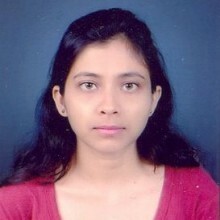 Apeksha Dhakorkar is pursuing MA in Politics from University of Mumbai. She is currently involved in a research project ‘China: Hindrance to India in IOR’ at the ICS. She has also done documentation work as a freelancer for an INGO ActionAid. Her areas of interest are Indian Ocean Region, Sino-India and China-south Asia relations. 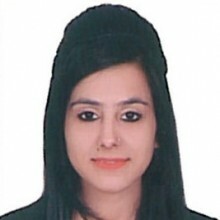 Inderdeep Kaur Raina is a recent graduate from Amity University. She holds a bachelors degree in Political Science from Sri Venkateswara College, Delhi University. 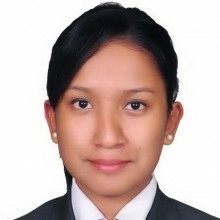 Before joining ICS she interned with The Energy and Resources Institute on an ADB project encountering carbon emission. 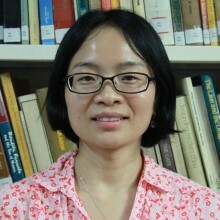 Her research interests include Chinese nuclear program and issues, Indo-China relations, border disputes, China and Israel relations. 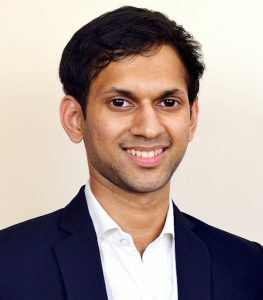 Rishap Vats is currently pursuing his Masters in Political Science from the University of Mumbai and has completed a Post Graduate Diploma course in International Studies from the same institution. 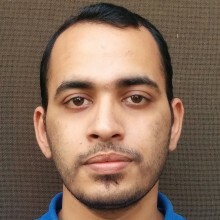 He has completed his graduation in political science from Mithibai College, Mumbai and previously worked as a Search engine optimizer, Content writer and a media advisor. Mayur Dandge has completed his graduation from Mumbai University with a bachelor’s degree in Economics and is currently pursuing M.A. (Hons) Political Science from Mumbai University. His areas of interest are Strategic Studies, Foreign Policy, Military Affairs, and Military Technology. He is currently a Research Intern at the Institute of Chinese Studies. Jyotishman Bhagawati has completed his graduation in Political Science from Delhi University. He is currently pursuing M.A. in International Relations from South Asian University. His broad areas of interest are strategic affairs and geopolitics in Asia, national security and defence of India and International Relations of South Asia. As part of his research at ICS, he is currently working on China’s military exchanges with Myanmar and Thailand. Shubham Karmakar completed his MA from Jawaharlal Nehru University in Chinese Language, Literature & Culture. He has done his graduation from Visva Bharati University in the same stream. He has participated in the International Youth Ambassadors Exchange Programme of Taiwan. He was also a part of 5th All India Conference of China Studies in 2012. He was a member of a Cultural Exchange Delegation from VIsva Bharati University to Yunnan University, Kunming, China in 2013. 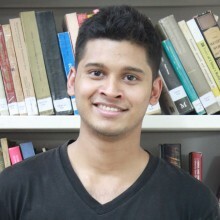 Prakash Bhandari is currently pursuing MA in International Relations from South Asian University, New Delhi. At ICS, he is doing research work on political economy of increasing Chinese investment in Nepal. His research interest areas are Chinese investment in Nepal; China-South Asia relations; Chinese and Indian foreign policies; political economy of OBOR. He has published several articles in newspapers and magazines in both English and Nepali about contemporary politics and international issues.